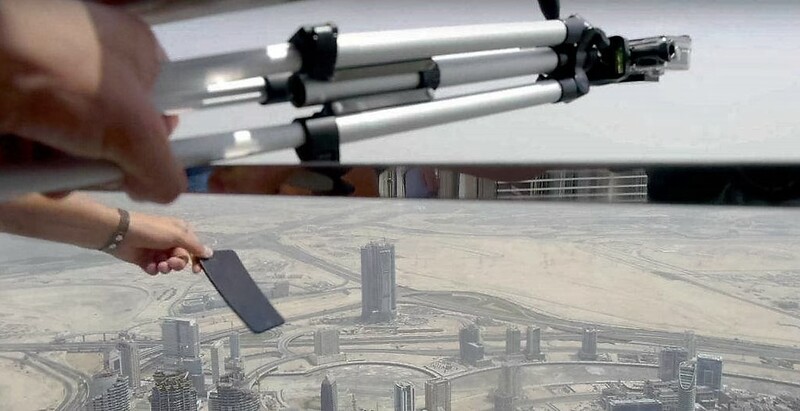 The Dubai Police recently interrogated a man who posted a viral video shot in the emirate, showing an iPhone 7 being hurled from one of the top floors of the Burj Khalifa. A senior police official said the act could have endangered people who were walking below the building. The video went viral on social media, provoking the police questioning; they made the man sign an undertaking that he would not repeat such incidents that endangered his own life and those of others. He is liable to penalty or punishment if he repeats such acts. The man, a Ukrainian tech vlogger, who goes by the username TechRadar on YouTube, shared the video last week showing himself visiting the Burj Khalifa and then dropping a brand new iPhone from the 148th floor. He is then unable to locate it on the ground after it crashed from a height of 2,717 feet. “This thing is fried. It’s just completely destroyed. The impact hit it to the point where I can’t track it,” he says in the video. Next articleWatch: Guy throws the iPhone 7 Plus down Burj Khalifa; this is what happened!